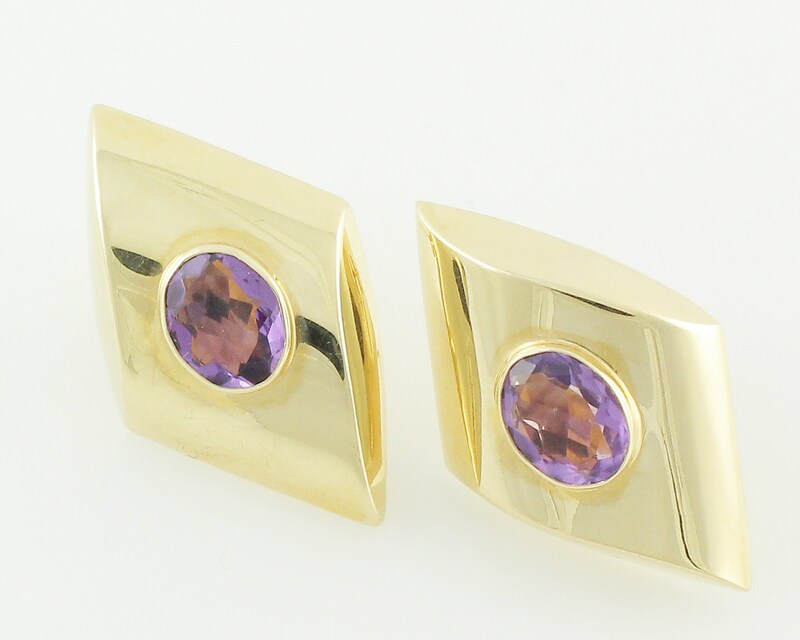 Vintage 14K Amethyst Earrings 1980s Oversized Geometric Pierced Studs. 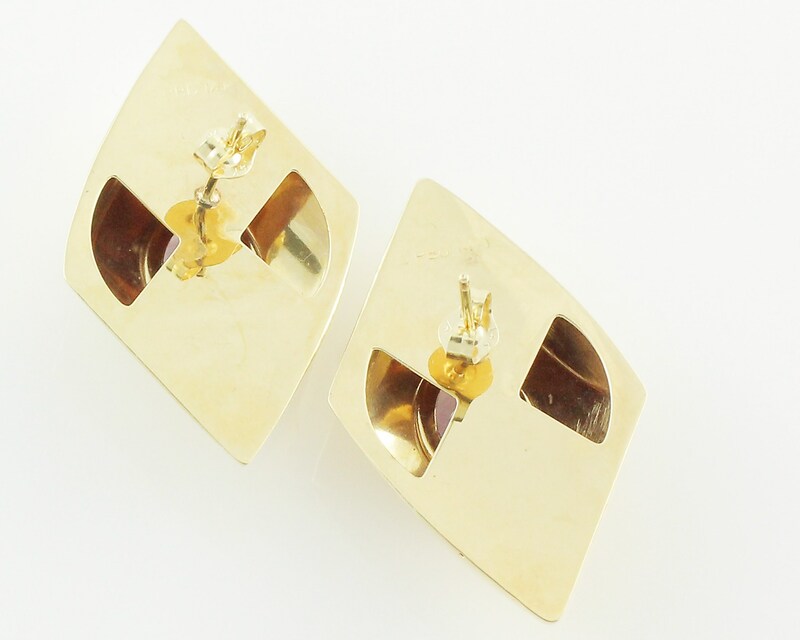 These earrings are the epitome of eighties glam fashion! 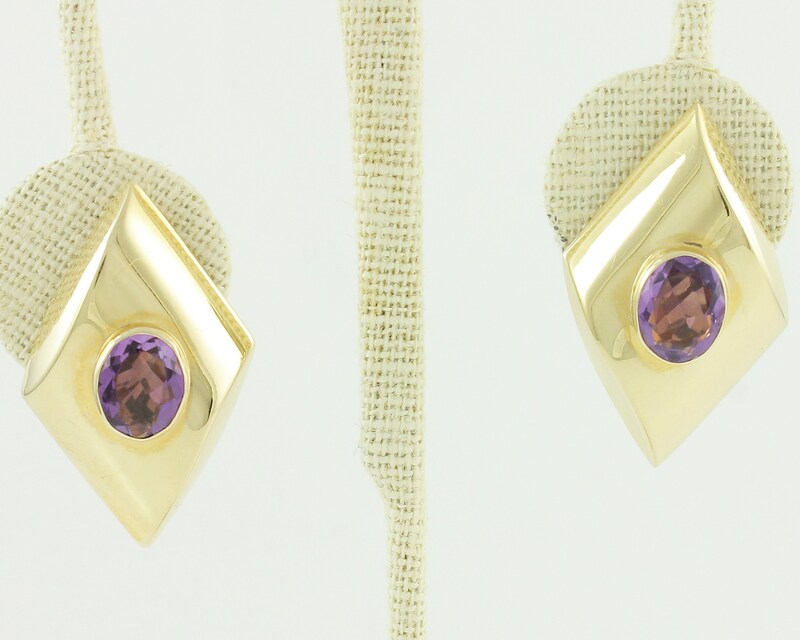 The huge geometric earrings each feature one bezel set oval faceted amethyst of approximately 1 CT. The earrings are finished with posts and butterfly backs. 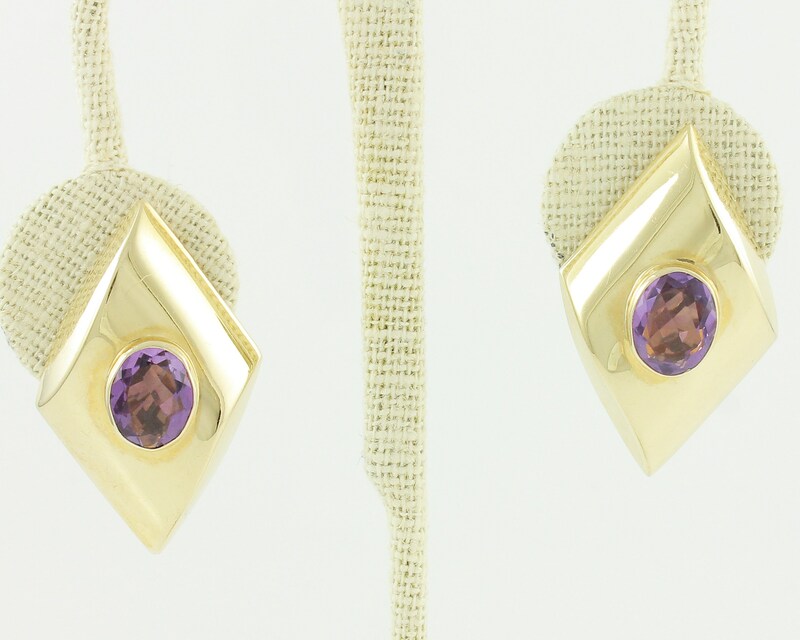 The earrings feature the maker's mark of Peter Brams Designs.